The Bahamas is a fisherman’s paradise offering everything from deep-sea fishing to reef fishing, bottom fishing end fly-fishing. However it is the bonefishing, and the legendary cunning of these odd-looking creatures, that brings in the fishing crowd. The best bonefishing is found around Andros, dubbed “the bonefish capital of the world”, but for fishing lovers Eleuthera is excellent too. This is because of the huge variety of fish inhabiting its shallow waters and mud flats. Fishing boats regularly report catching wahoo, marlin, sailfish, snapper, lobster and grouper. Eleuthera is one of the few places in the Caribbean where there are dozens of flats that can be easily accessed by car. 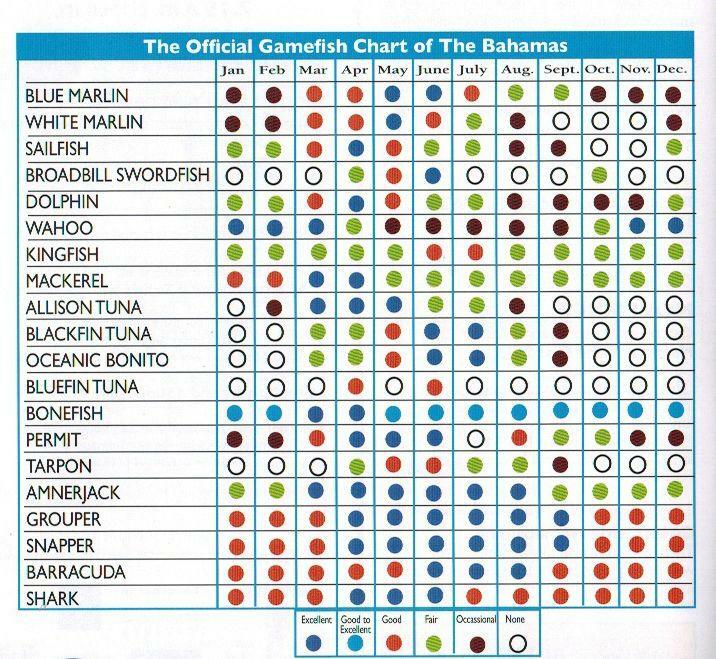 To understand when is the best time for fishing in The Bahamas for 20 different type of fish please read the table below. 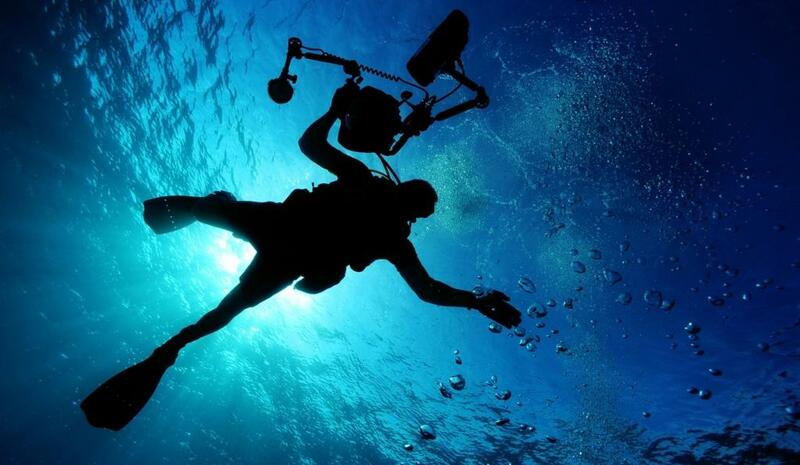 Diving in Eleuthera and in the Bahamas is world class due to the crystal-water, large number of reef systems, excellent selection of underwater caves which create precipitous sea walls that vanish into the abyss. The Bahamians say that the waters of The Bahamas are so clear because of the white and pink coral sand, which provides very good light reflection, and because the sand granules ensure that visibility is maintained most of the time. Eleuthera has its own unique collection of dive sites, like The Devil’s Backbone, the Current Cut, Buttonwood Beach, making the Island a place where you will want to return to over and over again. 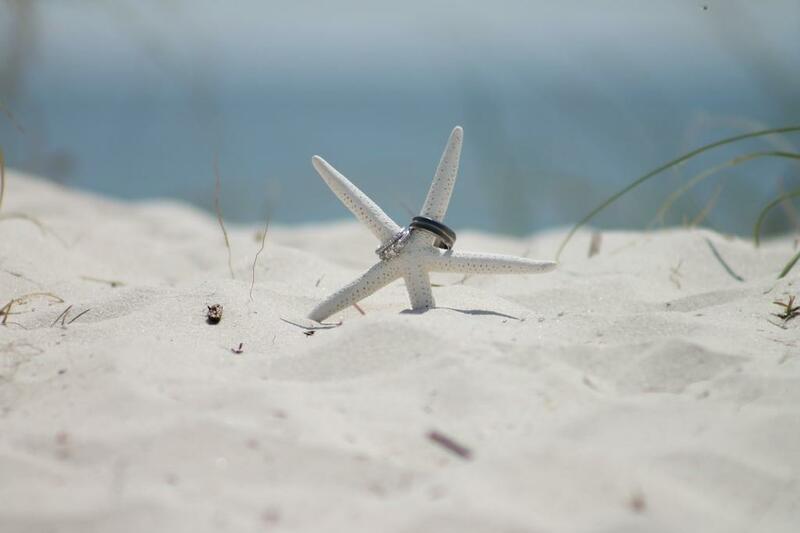 Yes, you may want to choose Eleuthera not only for your honeymoon but for your actual wedding! Getting married in The Bahamas is so popular that the Ministry of Tourism has its own deparate wedding division to help turn your wedding dreams into an occasion that you will never forget.